Not to be found on display on pub tables. 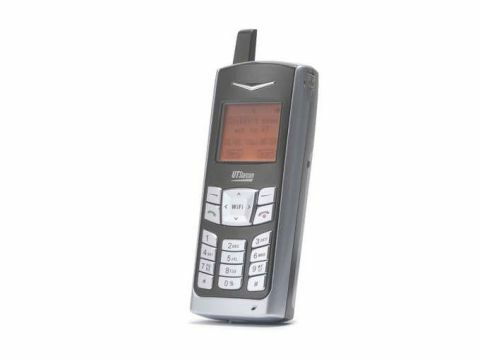 Despite its dated looks the F1000 hints at the potential of true WiFi VoIP. Tragic interface, however. It's fair to say that this Vonage unit has all the visual appeal of a mid-nineties Motorola. School children would laugh if you popped this out at a train station hotspot. The interface is a grey on orange LCD, and the keypad sticks and rocks in a truly unnerving way. Yet for all its visual deficiencies, it is a true WiFi phone. The F1000 connects to your PC via USB and scans for your account details and settings.